Winter injury of rose. Note the black and yellowed canes. Winter injury on Eucalyptus tree. Note that the base of the tree protected by the surrounding vegetation is still alive. The white, yellow, chlorotic leaves on the Mexican Orange (Choisya ternata) in the center of the picture are only on the exterior of the canopy and developed shortly after the snow fall event. Maple with a weeping canker injury from freezing winter temperatures. Canker is shown in the upper portion of the picture with discolored, stained bark around and below. The winter of 2013-2014 killed many Ceanothus in western Oregon. This plant almost died but still has some life at the base of the plant. Marion blackberries are very susceptible to cold temperature damage. All above ground portions of this plant were killed but the crowns are still alive sending up new primocanes. 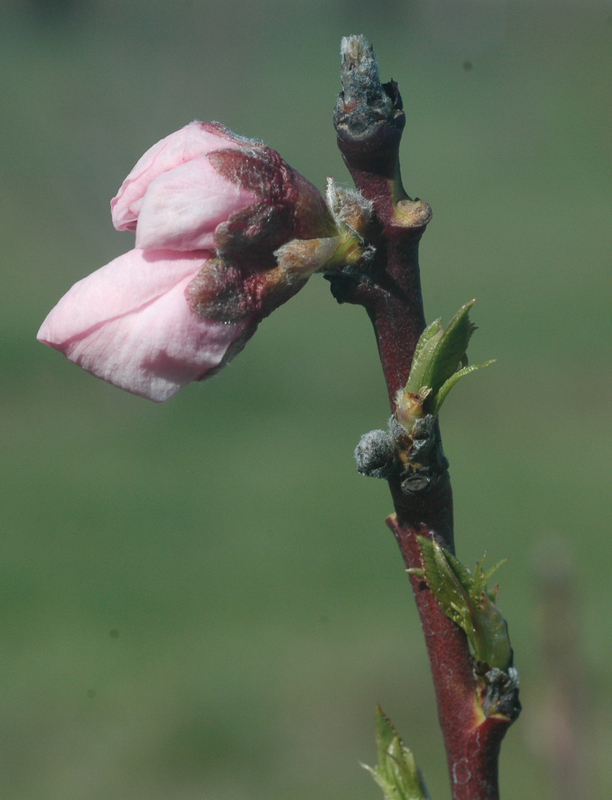 Winter injury on peach caused flower buds to wither up and drop off. Flower bud scar to the right of the pink buds and a dried flower bud below. Condition of the plant: dormant, partly dormant, stressed from drought, fertilizer burn, insects, etc. 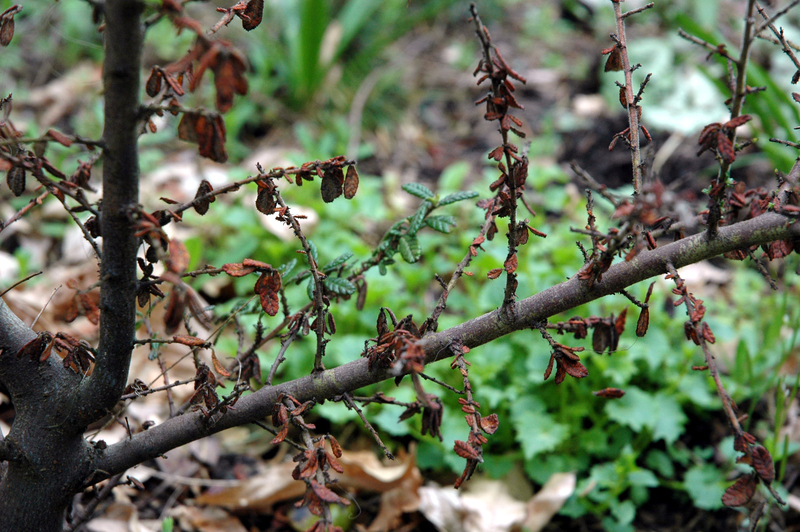 Winter injury to landscape plants occurs in different ways. Understanding how plants react to winter temperatures sometimes helps make predictions about the type and extent of damage that may occur. 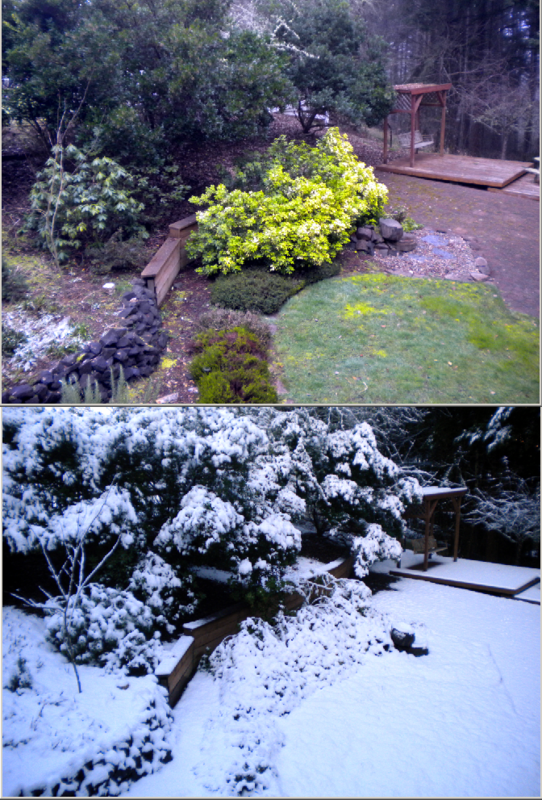 However, in the Pacific Northwest’s varying climates and microclimates, general predictions are difficult. For example, the climate is more moderate around a large body of water; lower winter temperatures and harsher climates occur with increases in elevation. Plants native to a geographic region have evolved in response to the climate and weather patterns of that region. Hardy plants survive and produce offspring which pass on the genetic hardiness. Through natural selection, these plants will have a better survival rate. Native plants usually survive winter cold. Many landscape plants are introduced or are considered exotic. They may be adapted to completely different environments than native plants. Exotic or introduced plants often respond differently to local climatic cues than native plants. Hardiness to cold develops in organized patterns. Cold injury may occur at any time, depending on the severity of the cold and the stage of hardiness of the plant. A series of physiological changes that contribute to hardiness takes place. These changes are influenced by day length (longer nights) and cooler temperatures. In response to cooler temperatures, plants acclimate or harden to cold. The rate of acclimation to cold varies by species and the degree of cooling temperatures. If fall temperatures remain fairly warm, plants may fail to acclimate to cold. Ultimate midwinter hardiness is genetically controlled and is extremely variable among plant species and even among plants in the same species. Douglas-fir (Pseudotsuga menziesii) that evolved in the Rocky Mountains are hardier than Douglas-fir that evolved in the Cascade Range. Likewise, flowering dogwood (Cornus florida) from New York are hardier than dogwood from Florida or Georgia, even though they are the same genus and species. Deacclimation or dehardening is the loss of hardiness. Deacclimation is the plant’s response to warming temperatures in late winter and early spring. Typically, deacclimation is gradual but can be rapid in an extended warm period. Once plants start to grow, the soft growth usually cannot tolerate frost. Plants that bloom or start to grow early in the spring, such as flowering cherries, magnolia, photinia, and some very early-blooming rhododendrons, are susceptible to damage from late spring freezes. 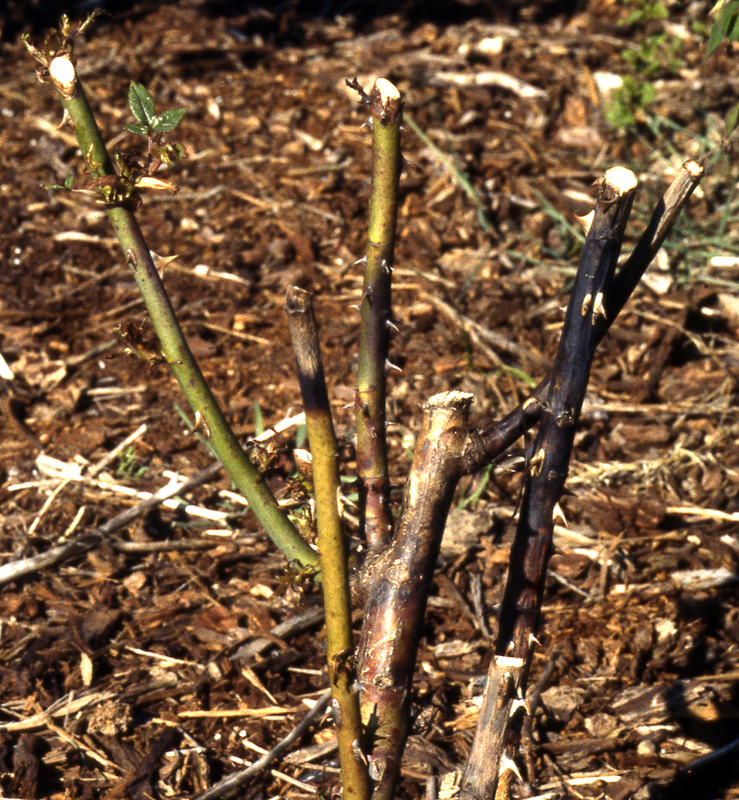 Buds and stems will die or be damaged if the tissue is not genetically able to withstand cold temperatures or if they have deacclimated. Some floret buds or tissues may be killed while others remain healthy. On some cultivars of tender rhododendrons, cold may partially or completely kill flower buds. If this happens, there may not be a full complement of flowers on the plants. This is common after cold winters. Roots in an aboveground container may freeze, killing the roots. Because in some plants the stem tissue may be much hardier than roots, the top of the plant is not damaged by the freeze. The plant may leaf out in the spring and then for no apparent reason wither and die. Check for dead roots to see whether this type of injury has occurred. Dead roots usually are brown to black and may be soft. Live roots may have white growing tips and will be white to greenish under the bark. This type of damage may be reduced by putting container plants in a protected area such as a cool garage or greenhouse. In western Washington, containers can be buried in sawdust or ground bark. Sunscald occurs in periods of severe cold or extended cold weather combined with bright sunshine. The leaves of some broadleaved evergreen plants can heat up to 50°F to 60°F during these sunlit days which causes a type of rapid deacclimation. When the sun sets, the deacclimated leaf tissue freezes rapidly. Ice crystals form in individual cells within the leaf, rupturing and killing them. Leaf tissue dies, particularly on leaves oriented toward the afternoon sun. Leaves on the outside of the plant, especially on the south and southwest sides, will be most affected. Damage often is most severe on leaves that are perpendicular to the sun’s rays. Plants vary in their susceptibility to sunscald. Wind and sun, alone or in combination, can damage evergreens because they cause the plants to transpire or lose water through their leaves. The water is not replaced because the roots cannot pick up water in cold or frozen soil. Leaves turn brown, starting with brown edges or needle tips and progressing between the veins or down the needles. These maladies may be prevented by protecting the plant from the wind or shading the plant. The most severe damage will be on tissue farthest from the veins such as leaf edges, leaf tips, and tops of plants. Damage usually is most severe on the side of the plant exposed to sun and air flow. The most acute damage happens on the south and west sides of the plant. Sunscald occurs on sunny days in winter when the bark of a tree is warmed by the sun, especially on the southwest side of the trunk. The bark and cambial tissues deacclimate and are not able to re-acclimate quickly enough when the sun sets and the temperature drops abruptly. The result is damage or death of tissue. The bark often cracks open, or it may separate from the tree without splitting. Sunscald is more prevalent on stressed, recently transplanted, smooth- or thin-barked trees. Recently transplanted trees and those that may have been stressed during the growing season should have their trunks wrapped with a light-color wrapping from the soil line to the first set of branches. Leave the material on for the first winter and the first growing season. Dilute whitewash solutions can also be painted onto the trunks to reflect sunlight. 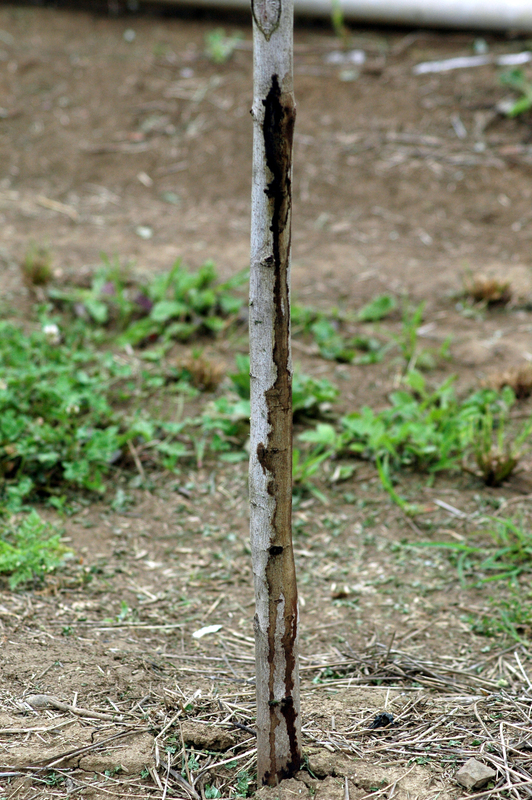 Bark splitting at the crown of the plant, where roots and stem meet, is a common injury. It is caused by cold temperatures near the soil surface and is usually a problem where there is no mulch or snow cover protection. After thawing, the dead bark dries, splits, and separates from the wood, girdling the crown. This prevents the plants from transporting water and food from the leaves to the roots. The result is the death of roots and eventually of the entire plant. In spring, the twigs and leaves may appear alive and green, but the plant is actually dead. Leaves may start to grow in the spring and then wither and die for no apparent reason. Sometimes the bark adheres to the wood instead of cracking and as it dries forms a sunken area or a canker. Bark splitting and frost cankers may be found at the crown and on the trunk. Stem wounds may increase the chance of bark splitting. Drooping leaves and leaf roll are protective reactions to cold. They reduce the amount of leaf surface exposed to cold or drying winds. Leaves return to normal position as temperatures warm. Leaf droop is most dramatic on fatsia (Fatsia japonica), where the large leaves bend at the stem end of the petiole and drop flat against the stem, looking like death itself. In very cold weather, it is normal for entire leaves to roll inward on some rhododendrons. If leaves are not killed by extreme cold, even partially damaged ones will recover, and the plant will return to normal when the weather improves. Branches may break due to heavy snow or ice. Prune the broken branches left on the tree or shrub back to another branch or to the main trunk. On large branches, this cut should be made to just outside the branch collar. Wait to prune other branches that may have been killed by the cold. It is easier to determine which stems are actually dead after growth starts in the spring. The leaves may be dead, but that does not necessarily mean that the stems and vegetative buds are also dead. The results of winter injury sometimes takes months or years to appear. Sometimes the leaves live on until their reserves are depleted. This occurs slowly in cool weather or rapidly when the weather suddenly becomes hot. Prune as described above. 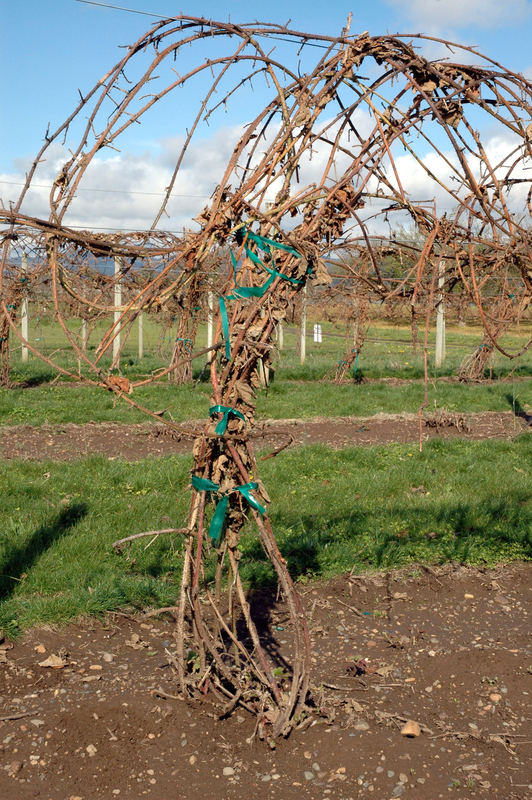 Graft unions may be sensitive to damage from cold winter temperatures. Only a portion of the graft may be injured. It may function for years until another kind of stress causes it to fail. Winter-damaged tissue may allow disease organisms and insects to enter. Root systems, especially shallow ones, may be injured by cold. The damaged root systems fail, and the top of the plant may thin and start to die. Before pruning a sad-looking plant to almost nothing or pulling it out altogether, check to see whether it is still alive. Scrape the bark away with a fingernail or make a shallow slant cut just under the bark with a pocket knife. Live branches are bright green or white just beneath the bark. 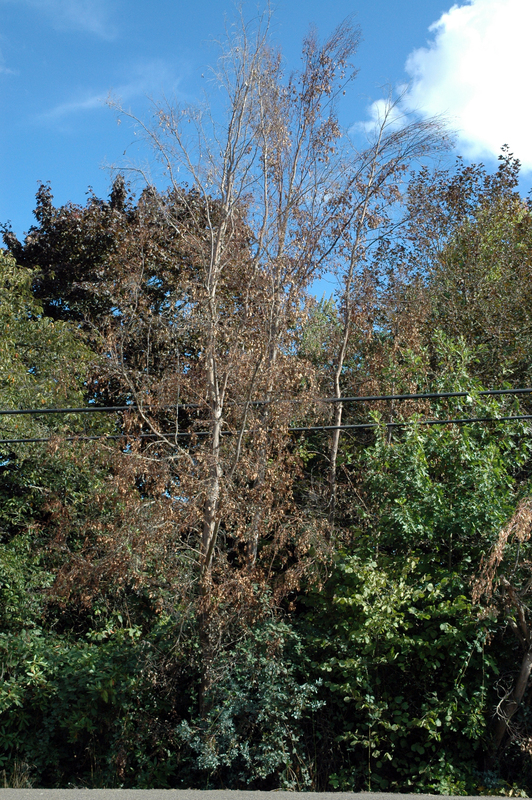 Dead branches are brown and may be soggy. Check the tree or shrub in several places: at the twigs; down the branches, and at the crown or soil line. Older wood may be more hardy than younger wood. If the outer twigs have died, move toward the trunk until you hit live tissue. Sometimes, faded green branches may begin to regrow and do not die. Remove damaged tissue after you give the plant a chance to recover and it starts to grow again. Don’t do anything until late spring when new growth begins on the live wood and does not begin on the dead wood. Before doing anything, check to be sure the crown is alive. Then prune to remove dead wood. Prune properly. Do not leave stubs. Prune back to live, green, heathy wood. Prune to a bud, stem, or trunk. Give a suffering plant a chance to become healthy again. Prune out only dead and severely damaged wood. Do not prune live wood. The larger the leaf surface area of the plant, the better it can manufacture food and grow new tissues. Water properly. Make sure the plant is not further damaged by drought. Pay special attention to evergreens and plants situated under eaves. Water properly throughout the spring, summer, and fall. Do not overwater. Fertilize properly. Fertilization is recommended if the soil lacks adequate amounts of basic plant nutrients. On damaged fruit trees, remove as much developing fruit as possible to allow the tree to recuperate rather than produce fruit. Select plants hardy for the local climate and soil conditions. Place evergreen plants in areas that minimize their exposure to sun and wind. If this is not possible, provide a windbreak or shading during winter months. Wrap the trunks of young and recently transplanted trees with a white or light-color bark-wrap in the fall, especially young trees or those with dark bark. A dilute whitewash solution can also be painted onto the trunks to help reflect sunlight. Do not fertilize, prune, or water heavily late in the season. This can encourage late-season growth that may not acclimate well in the fall. Water landscape plants, especially evergreens, in fall and early winter dry spells. Pay close attention to plants under overhangs or other places where they may not receive rain or snow.